Chiropractic is type of holistic healthcare based on the premise that the body has the ability to heal itself as long as it is functioning at its full potential. The brain and spinal cord make up the nervous system which controls all the functions of the body. Our bodies were made intelligently with bone surrounding the nervous system. By keeping the bones in alignment by regular chiropractic adjustments, we are enabling the nervous system to communicate with the rest of the body. The nerves, in turn, can send and receive messages that keep the body healthy and functioning fully. A subluxation is a misalignment between two bones that puts pressure on the nerve exiting between the bones causing nerve dysfunction. Nerve dysfunction can result in sensory problems (touch), motor problems (muscle imbalance), visceral problems (organs), or pain. Prolonged misalignments result in nerve dysfunction and spinal degeneration (arthritis). A chiropractic adjustment consists of finding the subluxation in the spine that is causing nerve dysfunction and putting a specific force into the bone to move it back to its normal position. There are many different ways of getting the bone back in place. At our office we perform manual adjustments with our hands and also offer a low force technique, called Activator, using a small instrument. Regardless of the technique, chiropractic adjustments are very successful in removing subluxations. How do we get subluxations? Basically, there is no escaping subluxations. However, by taking care of your spine, you can reduce their impact on your health. The causes of subluxations are known as the Three T’s: Thoughts, Traumas, and Toxins. Thoughts are anything that causes stress; occupational stress, marital stress, financial stress, etc. all have major physical affects on the body. Traumas are things like a car accident, the birth process for both child and mother, falls, athletic injuries, etc. Toxins can include alcohol, recreational drugs, processed food, soda, and medications. In other words, life causes subluxations. In order to counteract their negative affects, regular chiropractic care is essential! Chiropractic care is safe for people of all ages. We regularly see infants who are days old and elderly that are in their 90s. Because we are using techniques that are tailored to each individual patient, we can give the proper adjustment based on what they need and can tolerate. The adjustment that we give a 45 year old is going to be different than the adjustment to a 5 day old. 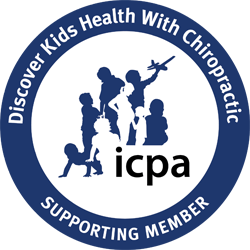 Chiropractors undergo extensive education on each specific bone, amount of force, vector and position and use that knowledge during every adjustment. How do I know if I need an adjustment? By making an appointment with a chiropractor, you will have the opportunity to get your spine and nervous system checked. At The Health Practice, we utilize a Static Scan of the back that looks at the muscle imbalances from side to side. Where there is nerve interference, the muscles are firing more or less than the other side. We also use a Rolling Thermal Scan which compares the temperature difference from side to side. The nerve interference affecting temperature differences will show up and usually coincide with the symptoms the patient is having. The patient’s Range of Motion is tested and postural changes are noted which helps us visualize the alignment of the spine. X-rays are sometimes needed and taken to see the degenerative changes influencing the health of the patient. With these tools, we can determine if chiropractic is the right decision to make to improve your health. I have the best office mates and feel so loved ❤️! A beautiful orchid was sent from @nurtureomaha and a relaxing massage was given from Sara @porchswingphilosophy for my birthday!!! Couldn’t think of another way to start my next trip around the sun ☀️! Thanks for all the wishes!